Janet and Walkie Ray have been a tremendous force behind the success of the Orange County Great Park, the MIND Institute, and the Discovery Science Center. Serving on both the Great Park Corporation board and the Great Park Conservancy board, Walkie brings a wealth of expertise in project development to the process, expertise that is critical to this largest civic project ever in Orange County. As Co-Chair of the Jewel of Orange County, Janet exhibited an exceptional ability to bring people together to support this major fundraiser and friend raiser for the Great Park Conservancy. Individually, Janet’s and Walkie’s commitment of time to the Great Park project is significant. Added together, it is unequaled. Walkie joined the board of the MIND Institute in 2002, serving on the Executive Committee and the Board Development Committee. In 2003, Janet co-chaired the first ever MIND Institute Awards Dinner, establishing a vital source of fundraising and friend-raising for the organization, that has raised more than $1-million. In addition, they have hosted numerous events for the organization – from parties on their boat to elegant donor parties in their home – and always with genuine warmth and hospitality. Walkie and Janet have been involved with the Discovery Science Center since 1993. They were instrumental in the strategic planning, fund raising $20M, and construction for the Discovery Science Center which opened in 1998. They have been or are involved with Sage Hill School, Orange County High School of the Arts, UCI Arts Council, Orange County Performing Arts Center, and Ballet Pacifica to name a few. Walkie and Janet are the “dream couple” for any organization they choose to be involved with and embody the true “Spirit of Philanthropy” in everything they do. 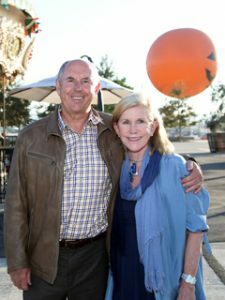 Jim and Susan Swenson have been making a tremendous impact with large, transformational gifts to Mission Hospital, Children’s Hospital of Orange County, Ocean Institute of Dana Point, and the Orange County Performing Arts Center. Their gifts have helped build a Pediatric Operating Pavilion in collaboration with CHOC at Mission Hospital, have provided for the purchase of a state-of-the-art Linear Accelerator for specialized cancer treatment at Mission Hospital, have funded projects for the Ocean Institute to help school children experience and learn about the ocean environment, and helped build the new Renee and Henry Segerstrom Concert Hall. Additionally, they give to endowment funds at the Orange County Performing Arts Center, Ocean Institute and CHOC in support of youth health and educational programs for future generations. They serve in leadership roles on Advisory Boards or Board of Directors of several organizations. The Swensons have a heartfelt need to give back to the community! This generous couple is very private in their giving, so it is hard to know just how many others have been touched, but they are setting the highest example of philanthropy in Orange County. For years, Don Schoendorfer and his wife, Laurie, have given selflessly of their time and resources. Among other things, they tutored and nurtured children at the Mariners Church, Lighthouse after-school-program in Santa Ana. Such dedication is indicative of Don’s loving heart for the poor and needy. Then a two-week vacation to Morocco and a sermon from his pastor 20 years later changed Don’s life. In his garage, he used all of his talents, skills, MIT education, and engineering experience to design simple, rugged, and inexpensive wheelchairs. Due to his passion, vision, and humility, thousands have joined Don in his goal to deliver 20,000,000 wheelchairs free to people around the world for whom the gift of mobility is beyond dreams. Over 130 local residents have traveled to the countries supported by the Free Wheelchair Mission to experience firsthand the delivery of a wheelchair. Their lives have been transformed after witnessing how Don’s simple wheelchair immediately restores dignity to the disabled person, brings needed relief to the family members, and restores hope to the entire community. 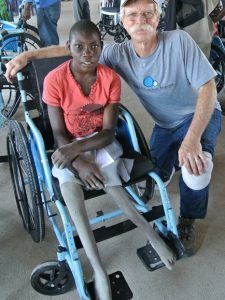 To date, the Free Wheelchair Mission has given away over 250,000 wheelchairs to the poor in over 65 developing countries. Don Schoendorfer’s selfless, humble, and passionate heart is an inspiration to all. 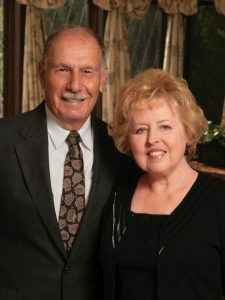 Through the success of Eberhard Equipment, Ken and Sandra Eberhard founded the Eberhard Foundation in 1992 and over $360,000 has been distributed to local, national, and international charities. The Foundation’s purpose is to provide shelter for the homeless and to help people get an education who cannot afford one. 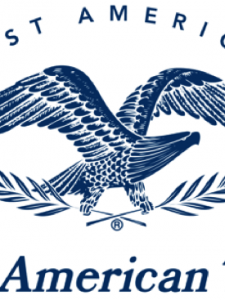 Goodwill of Orange County, Bowers Museum, Chapman University and the Pacific Chorale are among just a few of the organizations who have benefited from First American’s involvement and philanthropic giving. Financial donations made in 2005 and 2006 totaled more than $2,700,000 and the monetary cost of annual in-kind services are estimated at $1,413,650 through the use of campus rooms, audio visual equipment and food service for local non-profits. It is difficult to aggregate the involvement of all of its nearly 40,000 employees, but senior executives are holding key positions on numerous nonprofit boards throughout Orange County. For Goodwill of Orange County, First American has been a major financial sponsor for 15 years and executives serve on the Board and committees. For Bowers Museum, First American Corporation and the Kennedy Family have been important supporters for 20 years. Current First American CEO Parker Kennedy oversaw the 1992 expansion of the Museum and was instrumental in its Capital Campaign. Ten years later, Parker’s father and First American’s Chairman Emeritus, Donald Kennedy, took the Chairmanship of the Museum and oversaw the recent Kennedy Wing expansion. For Chapman University, First American is an active sponsor of American Celebration Gala, which raises critical funding for scholarships, and the Economic Forum and Economic Forecast events. Other organizations include Santa Ana College Foundation, South Coast Repertory, Habitat for Humanity, and St. Joseph Hospital Foundation which shows the breadth and depth of the corporation’s involvement. First American Corporation is a model partner giving resources to strengthen the non-profit sector. 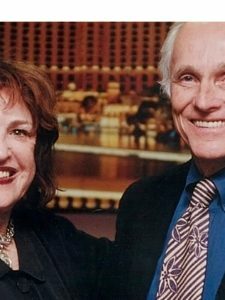 Through their work with HomeAid, Julie Brinkerhoff-Jacobs and Don Jacobs are directly responsible for helping thousands of homeless families and individuals in Orange County and across the nation. They have raised more than $600,000 for HomeAid, influenced others to make personal and professional contributions, donated the resources of their respective national landscaping and architectural firms, and provided strategic, hands-on leadership by serving on national and chapter boards of directors. 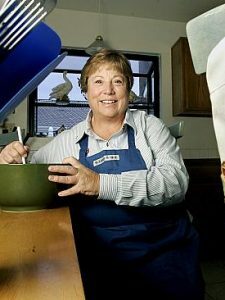 In fact, Brinkerhoff-Jacobs was one of the founders of the organization in 1989. The Jacobs’ philanthropic giving extends far beyond HomeAid. Jacobs and his firm performed pro bono work in 2006 to help a victim of the Laguna Beach mudslide redesign its home that had been devastated and donated more than 800 hours of volunteer time to design a home in El Segundo for a family in need for the blitz build TV series Extreme Makeover. Brinkerhoff-Jacobs has performed fundraising for numerous local non-profit organizations, including the Orange County Museum of Art and the Orange County Performing Arts Center. She has received numerous honors, including: B.J. Stewart Community Lifetime Achievement from the Orange County BIA (Building Industry Association) in 1991; Soroptimist Club Woman of the Year in 1986; and Orange County Business Journal Woman of the Year in the late 1990s. For over 4 years the Cookie Moms have been making a big difference in the lives of the children of Canyon Acres. Their consistent presence adds stability and a real touch of home for the 30 abused, neglected and emotionally troubled children who live at the Ranch residential treatment center. By providing twice a month “home-made” projects and activities, Cookie Moms are able to reinforce the behavioral therapeutic lessons being taught by the staff. Whether teaching the children how to make cookies or helping them with their homework, their projects and activities teach the children self confidence and even how to have fun. Additionally, the children learn how to follow directions and have a real sense of accomplishment at the successful completion of a project or activity. The Cookie Moms of Canyon Acres have definitely cooked up a “recipe for success” for the children. In 2002, two sisters whose mother was diagnosed with breast cancer realized a need for breast health education, awareness and support from the teen community. With their friends, they formed the first Pink Ribbon Club at University High School. 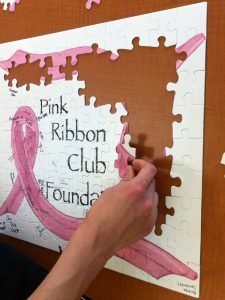 Today, there are five Pink Ribbon Clubs in Orange County high schools with plans for more. Members participate in the Race for the Cure, and educational projects including 2006 Breast Health Symposium and Komen on the Go. They volunteer for the American Cancer Society Relay for Life, decorate holiday trees for the Cancer Center of Irvine, help children who have a parent with cancer through Kids Connected, create and host school-wide events and fundraisers. Just as important, they provide an instant support system for teens touched by breast cancer. Besides all this, the Pink Ribbon Clubs are teaching members to be confident leaders in the future.